Tracksounds: Win Astro Boy (Soundtrack) by John Ottman! Win Astro Boy (Soundtrack) by John Ottman! Our contest for True Blood (Nathan Barr) has wrapped up and we'll be announcing the winner soon, but our latest caption contest is already underway! 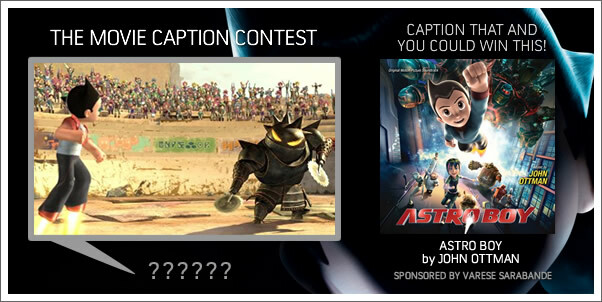 Enter up to three captions anytime during the month of October and you could win Varese Sarabande's release of ASTRO BOY by JOHN OTTMAN. We've already gotten a few good entrants...so put your clever-cap on and get busy.